OK, another really simple, but harder-than-it-sounds challenge for today: put away the phone. Yes, I love being connected to my family and friends with a mobile device. Yes, I use social media, and yes, I have the WordPress app on my phone. But I think it would be a useful exercise if I could distance myself from all of that connectivity, if only a bit. 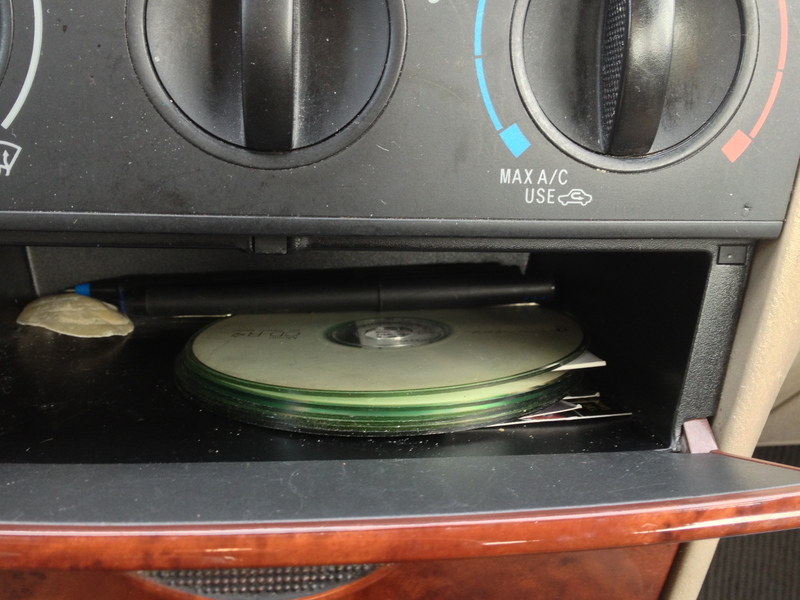 So today, on the drive to work, I just stowed the phone in a drawer currently home to a few CDs, a couple of pens, and an oyster shell–just far enough out of reach to make it a bit harder to pick it up at a stoplight. I think if I get a phone call, I will still answer it, but other than that, why not disconnect for that relatively short period when I’m driving? I’ve already pretty much unplugged on my morning drive, since I am still in the habit of driving in silence. On the drive home, I can do without plugging my phone in for music. The other natural place to disconnect is from late night through early morning. I am still starting off the day with quiet sitting, but there have certainly been plenty of mornings when the first thing I do after that first cup of coffee is to check my email. I thought about walking out to the car at night and stowing my phone in that same drawer, but that seemed unnecessarily complex. Plus, I do use my phone as an alarm in the morning sometimes. So what I will do instead is take my phone upstairs when our youngest goes to bed–around 9:30pm–and leave it on my dresser until the next day. That means not picking up my phone until after I get out of the shower, around 7am or so. That’s nearly 10 hrs unplugged! Granted, I will be asleep for six of those hours, but still…. Let’s see how it goes. Just don’t “like” this post after 9:30 tonight, ok? This entry was posted in Uncategorized and tagged data overload, media, monotasking, simple action, technology, unplug. Bookmark the permalink.